Colton is an accomplished student-athlete with a strong performance record in the classroom, on the field, and in the business world. Colton was born and raised in Billings. 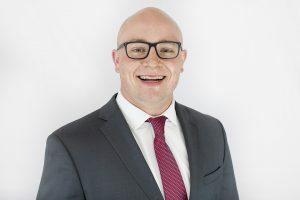 He completed a double major in Accounting and Finance, graduating from Carroll College in Helena, Montana while playing for the Fighting Saints football team. After graduation, he started working at First Interstate Bank in their Management Training Program. In his spare time Colton owns and operates his own lawn service business during the spring, summer, and fall. Anytime he can be outside golfing, hiking, or trapshooting, he takes full advantage of it. Colton is excited about being back in Billings and developing as a young community leader involved in NextGen, local politics, and community service groups.